Last night, I couldn’t seem to sleep. I kept waking up in the middle of the night, I don’t know why. I knew I wasn’t going to be able to get up early because of lack of sleep, so I changed my alarm to 7:30am. After nearly a week of 6-hour nights, this was the first night I was in bed for a total of 9 hours. Sleep quality was only 63% so it wasn’t great sleep, but it felt nice to be in bed a little longer. I’m definitely waking up at 4:30am tomorrow no matter what though because Cory needs to get some footage for a special project. I’m thinking about graphing this data to see if I can spot any correlations between wake time, running or not running, total sleep, and word count. The words were flowing really easy today and I actually found myself having to hold back. The same thing happened when I started making courses. When you make your first online course, you feel like it’s this huge thing. You feel like it’s so big that everything you can ever think of could be included. But you can’t include everything you have to share inside a single course. There’s just too much. Part of the value of a course is actually the condensation of knowledge. The ability to provide the student with just the things they need to know, and nothing more, is valuable. After producing several courses, I learned that the hardest is actually holding back. Writing a book has been a similar experience. There simply isn’t enough room to hold everything. A book is smaller than you think. Because I was passionate about the topics I wrote on today, the words wouldn’t stop. I kept having to split them into multiple chapters. Ultimately, I had to make the hard choice to omit some things simply because it’s not possible to cover everything. Writing my first book has only made me even more excited to write the second book. Yes, it’s incredibly hard, but it’s been a very rewarding experience. I can hardly wait for the next one. Even though I slept more today, I still broke 6,000 words and did it by 3pm—which felt great! Today, I was writing about client work and professionalism, which is a topic I’m very passionate about. I was also writing about money mindset—another important topic to me. I decided the money topic would need to span multiple chapters. 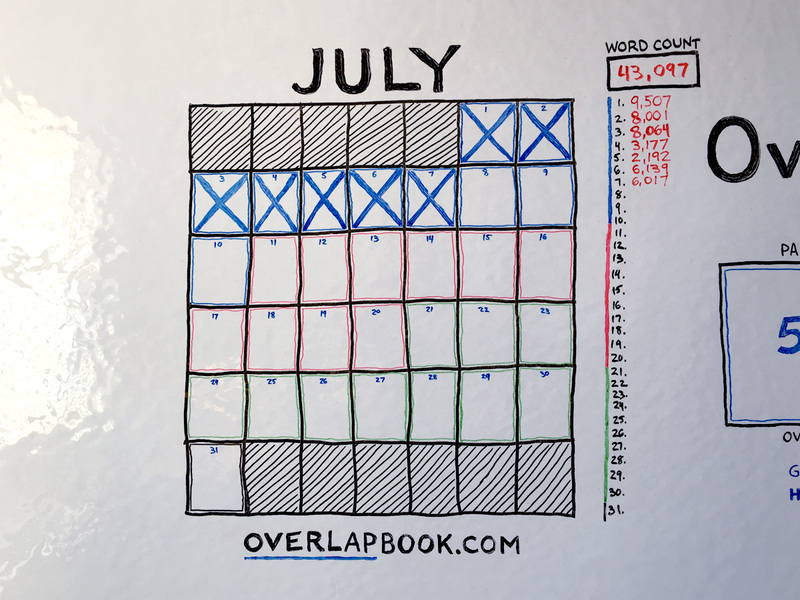 Part I of the book, Overlap, is now up to 18 chapters and I think that is where it will stay. It’s looking like Part II, and Part III of the book will total another 10–15 chapters. I have 10 chapters completely written, and most of 15 chapters done. I should be able to finish Part I in the next two days. This is a pretty short update, but honestly it was a very straightforward, productive day. I surpassed the upper range of my daily goal, did it by 3pm, and made tremendous progress.